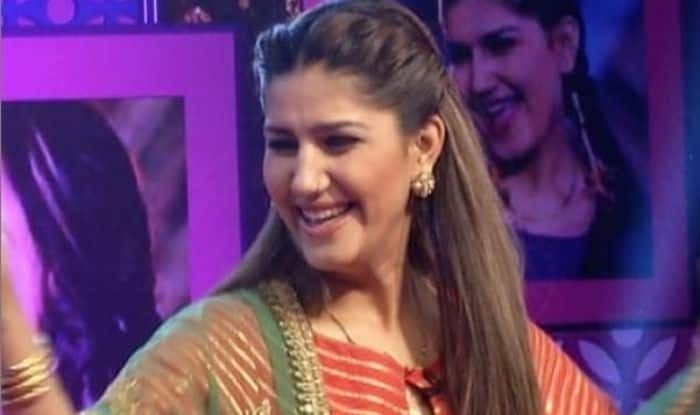 Sapna Choudhary showcased her thumkas once again during a stage show. Haryanvi dancer and singer Sapna Choudhary doesn’t need any introduction. The lady is known for her energetic stage shows. She always mesmerise people with her killer dance moves. A video from one of her shows is doing the rounds on social media in which she can be seen flaunting her thumkas on a popular Haryanvi song, Goli Chal Javegi. Dressed in pink and yellow salwar suit, the lady looked amazing. People enjoyed the performance and also cheered for her. The Haryanvi sensation is gearing up for her Bollywood debut. She will be seen playing the role of a cop in Dosti Ke Side Effects. The trailer received positive response from her fans and the movie is all set to hit the screens on February 8. It also features Vikrant Anand, Zuber K Khan, Anju Jadhav, Neel Motwani and Sai Bhallal in important roles. It will be interesting to see how the film performs at the ticket window. The lady became a household name after participating in the reality TV show, Bigg Boss. Despite being one of the popular contestants, she couldn’t win it. After coming out, she featured in hit music videos like Chori 96, Superstar, Ram Ki Su, Billori Akh. She also ventured into Marathi and Bhojpuri cinema.